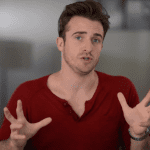 Get The Guy / Matthew Hussey's Dating Advice Blog / What if you’re trying to do something and getting no rewards? 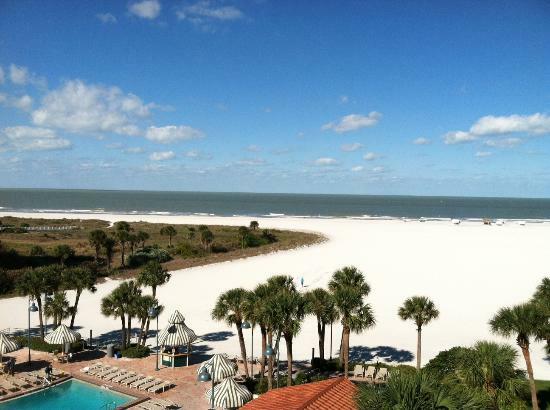 I’m on Clearwater beach right now getting ready to start my 5-day Retreat tomorrow. I don’t have my normal video set up with me, but I’m going to do my best to shoot something on my phone to say hi while I’m here. In two weeks my show comes out on NBC. In just three weeks my book comes out in North America. All this means that my current schedule is pretty unrelenting. As I write this my trainers are all sat around me on the top floor of the hotel, working on content before we go into action mode for the next 5 days. It’s always strange the day before going on stage. I sit and think about all of the things I want to convey, and I go through my training manuals to make sure I’m on my game. One of the most important things to do before a speech is to emotionally connect with your material. If you don’t do that you can have the best material in the world but you won’t speak from the heart. I work incredibly hard and I think about my work a lot. Often people tell me to take a break or to go on holiday. But what they don’t realise is that this IS my holiday. I’m doing what I love. There’s nothing else in the world I’d rather be doing. Maybe that’ll change one day. Maybe I’ll go in another direction altogether. But until it does, I’ll keep doing this all day everyday, because my life is focused on doing what I LOVE. There is a lot of truth to this. The successes I’ve gotten HAVE reinforced my behaviour and provided much needed motivation at times. I was doing this LONG before there were any successes to report. I filmed this over 3 years ago when I was living in my apartment in London and none of this had happened. I have even older videos from 3 years before that (which were pretty terrible by today’s standards) when I was really only starting out in coaching. When I first started I was in survival mode. It really wasn’t easy. There was a ton of rejection. Lots of doors closing on me from people who said I was nobody, that I had no experience and wasn’t established enough. But I did it anyway because, well, what else would I do? See it’s true that on some projects in life you stop when you’re not getting any rewards. But when it’s your love, your passion, you do it regardless of the ‘validation’, because you know you wouldn’t be doing anything else in the world. If your love in life was business, then you wouldn’t stop creating businesses just because one project didn’t pay off. You would just change your approach. If you love business then you know you’ll be creating businesses till the day you die, because that’s what you love. A painter who is a painter in her heart doesn’t stop painting because no one is buying her work. She paints because that’s who she is at her core – a creative soul who expresses it through her paintings. She doesn’t do it for the money. I love the lifestyle I get from my public speaking. I love the fact that I get to travel. I love the amazing individuals I’ve been able to meet as a result, and the opportunities it affords me in life. But I was doing this before I had any of that, and I’ll still be doing this when the TV cameras go away. I’d do this if there was NO money in it and I had to sustain myself working in Mcdonalds. I’d be doing this if I had only one person to give a seminar to each week, because I F*****G LOVE learning about and helping people. It’s my obsession. Everything else is a just a wonderful bonus (most of which I never even anticipated, let alone got motivated by). Oh and do I need to point out the obvious parallel with your love life? Flirt because you LOVE flirting. Love because you LOVE loving. Be courageous because you LOVE being courageous. Don’t do it for the rewards – those are all just wonderful bonuses. I want to leave you with a video today from an up-and-coming artist who is also carving his space out in the world. His name is George Watsky and he’s another great story to follow. His new song is called Cardboard Castles. I have no reason to promote his work other than the fact that his song sums up so much of this blog post, and that I love to help someone succeed in doing what they love. “I do things on a shoe string you couldn’t do with a cool mill”. Because that’s what we do here on this blog. We work with what we have. You don’t have stone? Then build your castles out of cardboard. What do you do in your life for no other reason than you LOVE it? If you have 30 seconds tell me by leaving a comment below. I can’t wait to learn about your passion in life. Massive love to you AND your wonderful life. I love supporting you through my blog. It’s a place where I can give to you without you having to think about whether you can afford it or not. Having you behind me is what keeps this alive. The best way you can support this free area of my site is to share this post with the people you know and love. Facebook share it, retweet it, leave me a comment… It all helps. Your individual support for my work is more powerful than you can imagine. Thank you. 188 Responses to What if you’re trying to do something and getting no rewards? I love studying and practising astrology. The excitement/adrenaline rush I feel when I type the birth details into the astrology software, and wait for the chart to be generated can never be replaced by anything in the world! I get a lots of questions from females in my life on relationships. When are they gonna meet the special someone, what will he be like, where will they meet him and how their relationship or marriage will be. Since I get asked that more than questions on career or children, I find that I have been forced to look at the relationship charts more ;) The guys just wanna know whether they will make more money, which I have not much experience in reading. After studying astrology, I am more grounded in life and it gives my life a sense of purpose. I am less judgemental of people when I know their chart, because I accept why they are , they way they are. It also helps me to make peace with things that I can’t change and instead focus on matters that require me improving upon. After looking at my own chart, I realize that the issue is not with the guy but rather with myself and what I have to work through. That sometimes, it is all right if you don’t share similar interest and hobbies with someone but what is most important are, are both your values and paths in life similar. I love my job, and i’m freshly graduated and i have waited sooo much to get a job of my passion not my dreams. but for my passion and everyday it fills me with joy ND I WANT T DO AND LEARN MORE ABOUT IT.i have learnt that in life to be successful you need to take baby steps toward what you want. step by step you’ll get there for sure. i’m following this strategy towards my health now and y love life too. and simply everything that i want. i’m more than thankful that i came to know a dating couch like you who is very special like you who comes out of a place that no one did. I have read tons of books on love and dating and each have taught me something but unfortunately they were wrong or comes from hard to get crap talk. when i used to date guys i never really loved my attitude or i was feeling myself thats not what Rawan is. until i came to ( you can heal your life ) by Lousie hay. Her book covered every aspect of life including relationships. it has changed the ENTIRE WORLD for me. i could never expect to be so much alive and happy to be in love with myself and being myself thats just the best thing you can do to your amazing self. and thats exactly where your concepts and insights are coming from. i dont have to be someone i dont want or i fake by being hard to get. i’m now very hard to forget and i have so much guys in my life that i have never had before. being an attractive woman is lots of fun and a pure experience that comes from the HEART. she has to do what she feels right at the same time she has a backbone and know exactly how to respond and how to express herself in a MARS language without much effort thanks to ( men from mars woman from venus ) which is the greatest book i have ever read and i advice every one to read. thank you so much for your hard work and i encourage you to do more of what you love Mathew. i sincerely love you like really really love you. i cant wait to receive your book which i ordered a few days ago. I love training dogs and their owners. The challenge of understanding the dog’s and owner’s psychology and adapting my approach to meet both needs is extremely stimulating. Encouraging and guiding an owner to enable their dog to become balanced and obedient is hugely rewarding. And the few times where the owner can’t hear what I say because it clashes with their values spurs me on to continually develop myself and my approach. There is always a solution and the empowerment this brings both to me and the owner is immensely gratifying. Thank you for all of these; your blogs, books and videos. You have helped me to continue surviving smart. I really truly need all of these and I am one of your biggest fans, though you may not know me. I am waiting eagerly the day I could afford to come to your retreats. I just found you today, well yesterday as I have been spending hours checking out your videos and now your blog. My grandmother always said that she was the luckiest person she could be because she loved her work. She went to bed thinking of how she couldn’t wait to get up and get back to it. For me, this is the scariest question I could be asking myself at this time in my life. Guess I am going to wrestle with it for now. It seems like a perfect place to send “your appreciated” out to you! Just for fun, I blog about being awesome. I don’t make a single penny off of it (at least not yet), but I LOVE the gratification of hearing that something I wrote made a difference in someone’s life. It’s an amazing feeling to know that I helped to brighten someone’s day! In many of your videos you talk about meeting people through your friends and going out with friends to find the right guy or to expand your social circle. What about in scenarios were you are unable to meet people through your friends or that your friends are not the type to want to go out often… What would you reccommend in a situation such as that? I’m one of those who may be “on the curb again” shortly, but for me it’s a day by day thing. I’m a grad student, and like you I intend to pursue a career in coaching (I am going into life coaching, and while I’m sure relationship issues will come up, my focus is on the individual). This is my “cardboard castle”. I’m not going to stop. Thank you for sharing your own story of perseverance, reflections, for the advice you publish for free (I did buy your book, and as finances become available, will continue being a loyal customer because I find so much value in your work, your life’s calling). Maybe one day we’ll meet in person at one of your seminars. Maybe one of these days you’ll have a life coach who will ask for your consulting services to teach her how to guide her clients in finding and sustaining the right relationship! So, for me and I’m sure many others out there, could you write or produce something that would give us an idea of how to avoid the problem of being able to attract men like flies on honey, however we end up having to reject great guys because they move too fast and this is unacceptable to US (women), because we haven’t had the time and opportunity to even get to know the guy! 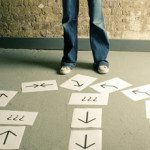 Getting the guy may prove challenging for some, and for others, the problem is getting the guy to slow down to the point where we can get to know him, build a relationship, and then be in a position to evaluate future prospects. I love everything you produce, and give total kudos to your book. I’d like to see something about how to get the guy to hold off on his marriage proposal for long enough (like, literally longer than a month!) to allow us time to make clear decisions. This is a very tricky situation; I have never found a way to decline a marriage proposal and still be able to maintain a dating relationship. Hi, I’m currently a freshman in high school and recently on Valentine’s Day a guy I didn’t really know called after me with his friends and told me he thought I was beautiful. I’m sort of wondering if he might have meant it simply as a compliment, or maybe as a sign that he’s interested? His locker’s also right next to mine, so we’ve seen each other a couple of times. The thing is now, whenever I see him, I act like nothing happened. I don’t know if I should try saying hi or not because I’m not sure what he would think after all this time of me not saying anything and, as bad as it sounds, acknowledging his existence. I’m also still not sure if he just meant it as a compliment. Should I maybe try to pursue something? I feel like the moment’s passed. Do you think he was interested? I love taking pictures. I’m studying photography and I’ve been taking pictures of my friends and friends of friends for years. If someone I don’t know is asking for a personal photoshoot, I don’t think about money and I ask them how much would they like to pay for that. I don’t want some financial issues to stop them from getting nice pictures. I really enjoy time communicating with my my friends or new people and making creative results out of it. I find myresonance and inner peace in what many call the occult. Astrology, numerology and the like. Feels like home. My love life is on the rocks to some extent. Him wanting me, but also asking me to sleep around. It’s lose lose. Those things are my distraction. They sooth the soul. Thanks for this post. It so articulately sums up why I love what I am doing in my life. I work in the field of advanced education and training, and I work to make post-secondary more accessible and relevant for folks from all walks of life. It requires long and crazy work days, but it allows me to be creative in developing different ways of reaching out to people, and to work on things that can really make a difference in someone’s every day life, like raising literacy levels. I love it. Your post also sums up why I love distance running. It requires a lot of time, focus, and heart to stick with it, sometimes it’s painful, and people often think I’m crazy for doing it. But for me it is exhilarating to challenge myself, push for an extra couple of kilometres, or try for a new personal best. As for things I do solely because I love doing them .. there are a couple of things – but practically, learning ANYTHING new. Right now, while I’m still living with my mother (a musician, btw), I want to learn anything I can. It’s fun, it’s different, and feels great. But there is one thing about that .. learning something is never obsolete. So it will be useful, perhaps not everything, but you never know when you need something anyways. I love singing. Singing makes me happy. And helps me when I’m down. I started to go to the gym and sauna regularily .. not because it’s healthy (although that is a good point), but because I simply love it. I wouldn’t do it otherwise. And I love learning Japanese. Firstly, I’d like to thank you SO much for this post. Seriously, I was motivated by the rewards only when it comes to my love life, until now. You made me notice something no one else could, which is where my mistake is. Thank you! Well, now answering your question: I’m no professional folk singer, I’m actually a translator (which is something else I enjoy doing) but what I LOVE to do without expecting any reward for is singing Irish songs. I will do it until I die, and even if I lose my voice someday, I will still do it in my mind… because I LOVE it! I am one of Jehovah’s Witnesses and love serving the true God, Jehovah! Even if he never blessed me, I would do it regardless. What a wonderful and creative “Castles to the Sky “video AND he got the girl! I love to help clients with their communication…I’m a Speech Pathologist with a passion for helping others! Best wishes to you and your staff! if so afterward yyou will absolutely take nice know-how. The worst place to be is not knowing what hour love to do because you have Brendon programmed to do things that productive but not fun. I used to love to paint but it was discouraged so I never pursued it. You have a very important message. I love the message in the song you posted and the storyline in the video. The thing I do simply because I love it is spend time with children. We can learn so much from the youth around us, and it helps us to become better people when we know someone is watching your example. Hi Matthew I just love your website and this blog and your tips just everything. Thanks so much for everything i really appreciate it. Now the one thing that i love to do is Singing but everyone better than me in singing. Ive posted one video on youtube from me singing but i removed it because for it wasn’t good enough. And a few days later i saw Christina Grimmie singing on youtube and than i just thought she i so good in singing i never be good enough too improve her so since than i just leave it. well i love too sing but it never gonna workout like i thought i would. Maybe i just think wrong i dont know? And something that i love to do is baking i just love to bake cake cupcakes for everyone. and in the bakery on school is one boy that i like very much. He like the same thing as me and he wants to be a baker later. Just like me and now is he following a eduction to become a baker and next year he is going to that another school to follow that education and i’m afraid that im not gonna see him anymore. Well once i was in a situation that i want to ask his phonenumber well i was afraid to ask him. So i ask a another boy for advice how you can ask his phonenumber and that boy were i asked that advice from says Why? do you like him? and i said to him yeah i do like him from you can now it that i like him i dont mind. So He walks to that boy i like in the bakkery and they have a little man to man talk about me. And have must go to him to hear it himself and he Said sweet for asking but NO. But i think he said no because all the other boys were stand arround him and said to him. Come on give this girl your phonenumber. I dont know? Later i said that he only use his phone to do games on it. And After a while when i working in the bakkery with him (yeah he was their just working) I said I never wanted that (the other boy) ask you that. And he said to me he already knowed it that i was i love in him they way i did and other things etc. Than i said to him i justed wanted first to be good friends and later when im older a realtionship with youi was scared to said that but later on im not regret that i said that. But how can i change his mind the he gonna like me More than friends? well he ask me now more about school and or if i wanna to the same thing as him. And every Wendsday when i have bakkery whe say Good Morning To eatchother. And he ask me once what my favorite Tv Programs were? Not to sound too cheesy but my passion is life. Life with all the happy and sad moments, victories and losses, challengies, lessons, and opportunities. It’s a miracle in itself to have a chance to live so enjoying every piece of it is my watchword. As the song from Chicago musical goes “If life is a game I’ll play it the best”! Thank you for sharing such an amzing song too!! I just fell inlove with Watsky, and I can’t believe I hadn’t heard of him yet. Something i do that just fills me up with love is caring for animals, and especially dogs.. Right now i live in India and no matter what dog i meet (often stray dogs) i give them anything i can for food or give them some love. Its not because i want to be a good person or anything i just love them so much! And peoples views on strays are often so wrong.. Maybe i have an eye for which dog to walk up to and not, but every dog i meet is so kind and respectful! And i think it brightens both my day and the dogs after spending some time togheter! Matthew – I have several passions but my top two are singing and reading. If I’m not doing one, I’m doing the other. Sometimes I sing and read at the same time. They both bring me peace when I need time to think, and its who I am. to answer your question… My passion is singing… I love to sing, i’m not as good as most but that doesn’t stop me from singing. Anyways your blogs are awesome. I like reading them :). Interesting question Matt – what are my passions? I mentioned this already a few times on this blog – I love coaching and mentoring, or let’s say trying to get the best out of people and inspire them. It is like to give energy and immed. it gets back to you. Such a great feeling! I work in HR, which I love, so my focus is ‘getthejob’ :) and I must say you have been great inspiration for me. My passion when things go sour that I move forward, is listening to music and dancing when no one looking. I’m still trying to break my shield of being shy especailly with a certain guy. And he knows it too. Strange thing too, when I see him we main eye contact and sent each other smile. To this today I kick my self (not physically) but there were times that I think he was hinting me that he want to hang out or go on a date but, yes the shyness kick in. But if things change i’ll let you know. I keep hearing this song on the radio and thought Matthew might like it as I feel it relates to his life at the moment! I stumbled across one of his earlier life coaching videos and have popped in every now and then to see how it’s going for him. I love your blogs. they are always motivating, positive, honest and spot on. I ve even started watching your videos as an antidote for a bad day, or if am feeling a bit down. You always cheer me up! I love playing the piano. And i love to sing. Haven’t done it in a loooong time. but now, just thinking about it, the joy bubbles up inside me. thanks for the inspiration! Soon I will do what I love doing! Honestly there are several things that I absolutely love to do simply for the sake of doing them. Whether it be drawing (or painting), writing, or singing, I feel passionate about it. I love creative expression. I don’t earn any money doing any of these things(maybe someday that will change),but I can’t imagine not doing them. Also, I just wanted to thank you for all the thought-provoking blog posts you take the time and effort to put up. It always makes my day just a little better when I see a new post. I fully felt your message. From *Heart 2 Heart* thankyou. I just can’t even explain how happy I am that I ever found you on youtube last year.. I have learned so so much from your videos, articles, book, online training page.. I think you are such an awesome person, and I would truly like to meet you one day,..I don’t know if you even do private meet ups, especially now when things are really going great for you. If not I’ll find a way to meet you some day:) I think you would like me:) hehe.. I am totally with you. Found GTG last year and so glad i did. Same thing,when i need an inspiration, i look matthew up. I also love dancing,compared to my work,but never thought i can make a living with dance. I am from indonesia and i do balinese dance, dont know how to make a job from it.but i want to try because i will dance till i die. i love to dance salsa. i didn’t start out too elegant, but i just HAD to do it, and keep doing it. it was just something in my bones that shouted out for joy each time i did that mambo…now i can walk up to the best-looking, most athletic guy on a dancefloor, ask him to dance and know he won’t leave dissappointed. i look at people’s faces as i come off the dance floor and i know they’re seeing a hot, joyful, glamorous expert. it’s magic! I just LOVE singing! I wish there was a way to let people know about my passion and my talent! :D anyways nice work, I always read your emails! I’m totally agree with you! I work in tourism! I’m so passionate about it since I was a little girl! I have to put some effort in learning other languages just to try to be better in order to help ppl! And I really do it from the heart This may sound crazy but I also think I would keep doing it even if I don’t get paid for it just because I love helping ppl and to see their faces when you help them that’s the best reward I can ever have! So I do understand what you mean! Thanks for the song, good one! What a great post. Very humble too the way you posted the video from the old days! The post reminds me of more advice to follow along the lines of the saying ‘do what you love and the money will follow’. Oh, and my thing is trying to make good perfume. I went on a day course in a tiny little perfume shop in the Cotswolds, and ever since then I’ve been wreaking havoc playing with my potions! I’ve wanted to share my feelings with you for a long time. More or less along this subject. I have been following you blog for a couple years now and I just want to thank you for the wonderful work you do. You are an inspiration to so many people. When I started following your blog I have to admit I was looking for a form of a confidence boost. I mean everyone needs one from time to time but I had severely suffered from depression two years before. During that time I never got suicidal because I still loved myself, but I just felt inadequate on so many levels. I struggled to show others my true and wonderful self. But I knew I could do it. I had seen instances of greatness in me that I leaned upon. I was always the younger awkward sister and felt that I didn’t quite compare to beautiful sister with the new marriage. So I found myself looking in all the wrong places in hopes to gain experience and perspective. Until I found your work. I have to say I was a bit sceptical at fist but as I took your advice to open myself up for new learning and start a fresh my world has changed. Who I was then and who I am now is completely different, but necessarily in the ways that you’d expect. My expectations when I started listening to you was that I would get great dating tips and insights. That possibly I might feel more secure in talking to guys. And even though that has been a great outcome I seen changes in myself that have shocked even me, the one who saw the potential in myself in the first place. I gained a confidence that I couldn’t describe. I was no longer afraid of rejection from not only men, but my peers. I started to walk a little taller and to sing a little louder in my car. I laughed a lot more at things that I saw as genuinely hilarious and embarrassing moments didn’t bother me as much. (Esp. because I know they’re bound to happen haha!) Stressful situations didn’t stress me out anymore and even though some may say it’s unhealthy stress often feels like a distance memory. Why is it that all these changes happened? It’s because I learned to love myself. Yes LOVE myself. I began to love my quirks, my aspirations, my passion, and my head-strong ways. I began to see myself as the beautiful person I am. I look in the mirror and think ‘yeah, she’s beautiful.’ Because as cliche as this might seem I had truly discovered that I’M WORTH IT. Something had changed… snapped. My love of life had a new energy to steam out from; my love of myself. Never before did I expect to have the result that I did. But the way that you talked about an individuals worth I guess rubbed off. So my passion has become funnily enough in the past while has changed from wanting to inspire others to loving myself first so I can inspire others. I always knew who I was and thought I knew what I was capable of but until it started to manifest itself in my own life did I realize that I am an amazing person. I am funny, I am talented, I am quirky, and a kind sincere person. I love life, and my family. But most of all I love myself. From that realization where I let everything go and didn’t worry about being perfect, or being the top student everything good, and I mean EVERYTHING good began to “rush-in”. My association with friends and family began to change. I started to notice people would always be around me and were drawn to who I was quirks and all. A ridiculous amount of guys started asking my on dates. To the point where I would actually have to reschedule with some because I already had a date that evening. I noticed people would get super animated and happy when I walk into a room. I began to be the confidant of so many friends who even at first acquaintance would share themselves and their deep desire with me. And what did I say to them? You are worth it! You are an amazing person! And I’m glad we are friends! So when you ask what I’m passionate about (and I’m a VERY passionate person) I say to you that I love to inspire people. That had always been my ultimate goal. I had a love for life and experiences that drove me to want to place these teachings that I have learned in films to share with the world. I’m in school for film but I’m also a student of life and experience. But the conclusion I’ve come to is that if I want to truly help others I fist have to help myself. I have to love myself if I want to give them the best me. So that is what I’m doing. Loving myself because the people I’m with so that they can be fulfilled by being with me, and in turn discover their own potential. For we can truly do and be anything we want. We just have to believe. And whether love or comes around or not it doesn’t worry me anymore because my worth does not come from what anyone else thinks of me. It comes from within. And so if that love comes around I can truly say that I am being my best-self. So Matthew I want to thank you. Little did I know that your words would have such an impact on me. And of course it didn’t happen overnight but it was a gradual progression of changing thoughts and ideas to ones that were actually correct. And it’s almost humorous for me to look back at where I started and where I am going. Without a true love and belief in myself I would have never had the guts to pursue my career in film, I would not be moving to the U.K. even though I’ve always wanted to, I would ALSO not be going on as many dates as I do (thought you’d appreciate that insight), and I would not be able to inspire others. I have had so many opportunities since then and I can say that I know exactly where you are coming from. There’s is nothing quite so fulfilling. So thank you Matthew Hussey for having the courage, the passion, and the insight to stand up for people everywhere. For it was what you said that sparked this powerhouse into changing her whole existence into something worthwhile and amazing. I’m speechless. What an amazing story. Thankyou so much for sharing it with me. I’m so excited you’re on the journey with me. Thank you for taking the time to give me your kind words and talk with courage about the rough and the smooth parts of your story. So glad you’re here. What beautiful loving responses to this fantastic post Matt! I feel its a fountain of Love flowing around the world! For me, music and sound touch incredible levels! I LOVE playing music which melts the heart! I played at the Wedding of a friend and was so touched when guests cried with joy in response! I touches so many feelings, subtle, expressive even transcendent! So yes…on a shoe string, I have to live and breathe this with love! You have a glorious week! Hi Matt. I am passionate about the work I do. Like you, I would do it regardless of the rewards. It may surprise some of you that my passion is working as a civil servant helping the unemployed getting back into work. I am privileged to be able to make a difference to people with a life changing event – similar to what you do. I love my job and never ashamed to admit it! I just love my job too ! CLEANING !!!! If you have fire in your mind, body and soul you can be the best you can be and you just carry on attracting more and more of the stuff you love into your live. It works every single time!!! Your question just makes me want to…. CRY !!! Why ? Because you made me realize that I’m not passionate about ANYTHING ! I’ve been trying so hard to please everyone in my life (family, friends, teachers,…) that I never took time to ask myself what I really wanted to do. I was so afraid of what others would think of me. It’s ridiculous I know, but I couldn’t help it. I have a good friend of mine who think I should do some traveling. She says it would do me some good. It’s true that I’ve always wanted to do that, but I never had the opportunity. I can’t help but feeling a little depressed about that realization. I still have to thank you. With your questions I always have to take some time to think about my life and it’s not something I easily do. I hope you’ll keep on helping people like you do for many years because you’re really good at it. hej – what I love is to experience: new things, situations and people. I love to learn about everything – I’m curious by heart and from the core. Life is so full of surprises and I like to use the bad ones to make something good from it. I love to learn about how my self works and how the world works and also the people within it. If I would start to get specific it would be just the tip of a pin needle, but I want to give you an idea of what I mean i.e. love: I love to write, draw and sing – I like art, theatre and musik. I love to teach and to learn how to teach (this is what I do right now with third-graders) and I love science: medicine, psychologie, history, biology, physics,… they offer lots of knowledge. What I like, too, is to study and practice religions/beliefs – it’s such a big area which is often the basis of what a person starts from to life her/his life and therefore very important. And I like to say thanks – I’m thankful for you blog, Matt, because it is inspiring. I love to do wall climbing, mountain trekking, and ziplining. Adventure is something I will always love to do. I have been feeling a little down lately and your blog made me feel a lot better. I kind of have trouble in love, but I’m not going to talk about it right now. I love to dance, paint, sing, make photographs, write and learn foreign languages. I’m actually going to study English and German, because I think that doing what I like is the best thing I can do in my life. These days I’ve also been thinking about writing a story and posting it online to see what reactions I’ll get. My friends already told me that I’m really good at writing stories, so I hope I can maybe make somebodys day better with my stories someday just like you did it for me with this blog. What do you do in your life for no other reason than you LOVE it? Dance. I love it. It always makes me smile. I dance with a partner (man-woman) and it is the most exhilarating feeling when we are syncronized. And when we aren’t it’s funny. We try and succeed together. I just started reading on how to attract a man. I know I can get any men but it’s been hard to find the one. I LOVE your blogs and I look forward to ready more about you and your success. I LOVE running and I am good at it. Once, a guy that I was dating told me that I was too old (I am 31yrs) to improve my times, I showed him wrong,in less than half a year i broke my college personal times. I LOVE challenges but my hardest challenge is finding thi guy.. Good luck in What you LOVE.